Pureed raw vegetables in a bowl. 2 How Can I Make a Vegetable-Based Broth for Soup? 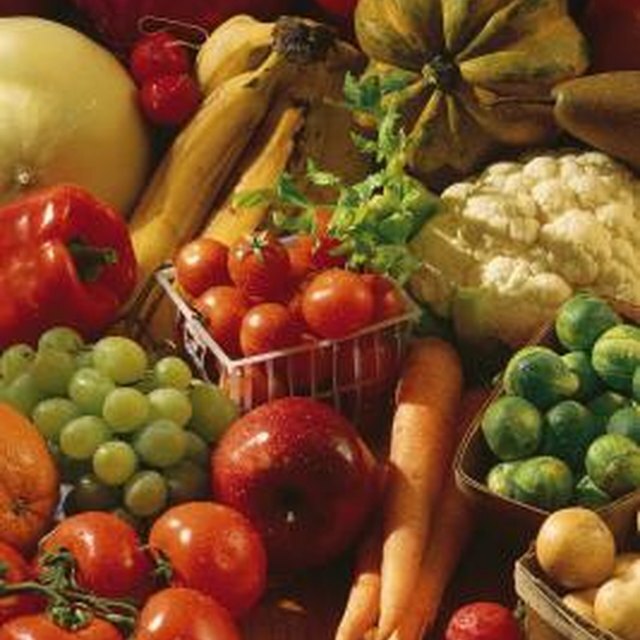 Eating raw vegetables guarantees that you receive the full nutritional value available. 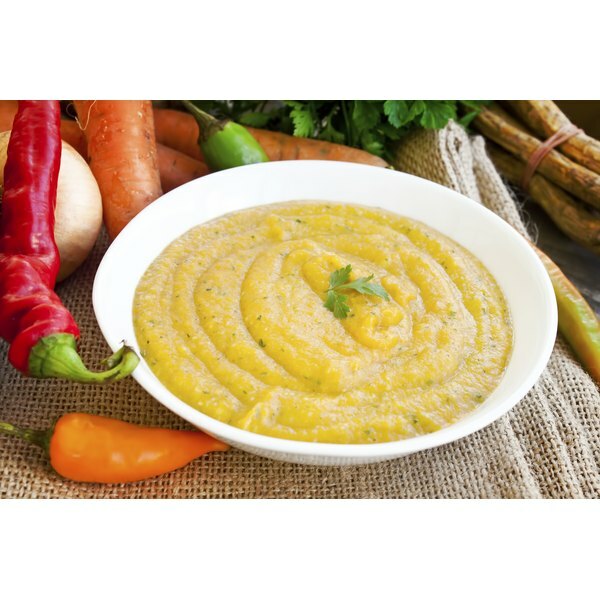 You can serve pureed raw vegetables as is, such as in a gazpacho, or as a spread, dip or pate. You also can incorporate a vegetable puree into other recipes as a sauce or flavoring. A good food processor or blender makes quick work of pureeing raw vegetables. A prepared vegetable stock added to the vegetables helps to create a smooth consistency in your puree. Wash the vegetables thoroughly under running water to remove any dirt, sand or pesticides. Peel any vegetables that require it. Cut the vegetables into small pieces and trim away any bruised parts. Place the vegetables in a food processor or blender. Turn the unit on and adjust it to the puree setting. Add the vegetable stock slowly to the pureeing vegetables. Add just enough for the blender to work all of the vegetables into the puree. For a thicker puree, add less stock; for a thinner puree, add more. Turn the food processor or blender off occasionally, and push any vegetables not pureed down into the mixture with a spoon. Continue to puree until all of the vegetables are integrated into the mixture. Roots and other harder vegetables puree better when steamed. Steaming softens the vegetables for a smoother puree, while preserving nutritional value.